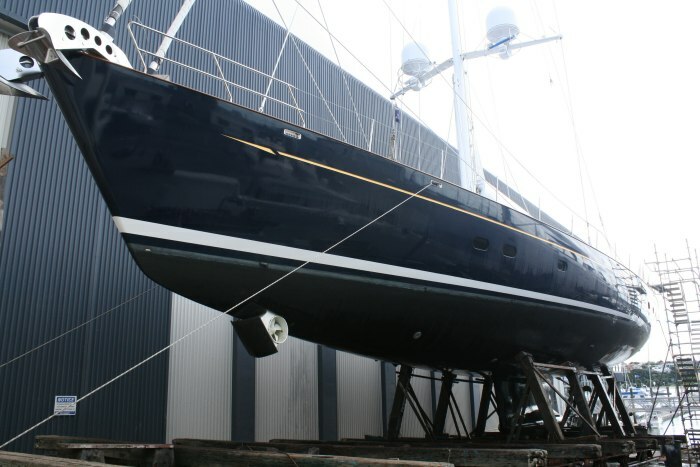 A 41 meter Dubois sloop built at alloy Yachts, left the yard in late July 2014 after having her bottom shell striped of the antifouling. The entire underwater area was filled and faired to with 5 millimetres tolerance to increase performance over long passages. 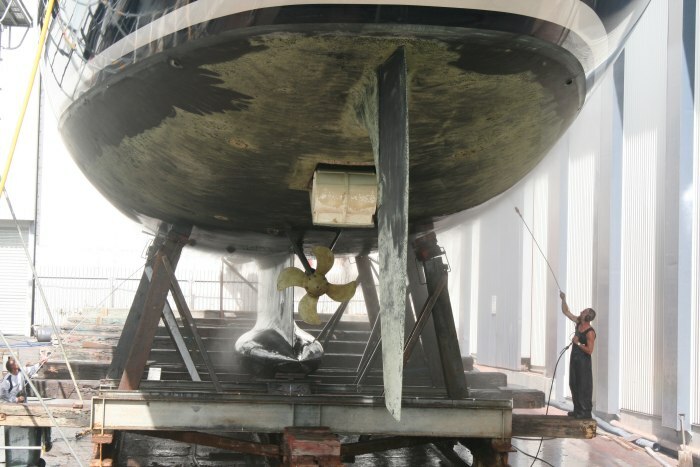 The vessel is due back in the yard in June 2015 to complete a further yard period when she will be repainted.